Next week Sunday - May 29th is the United Nations International Day for Peacekeepers . @WritersofColour’s twitter will be dedicated to retelling the stories of their victims and demanding definitive action detailed in the petition below. 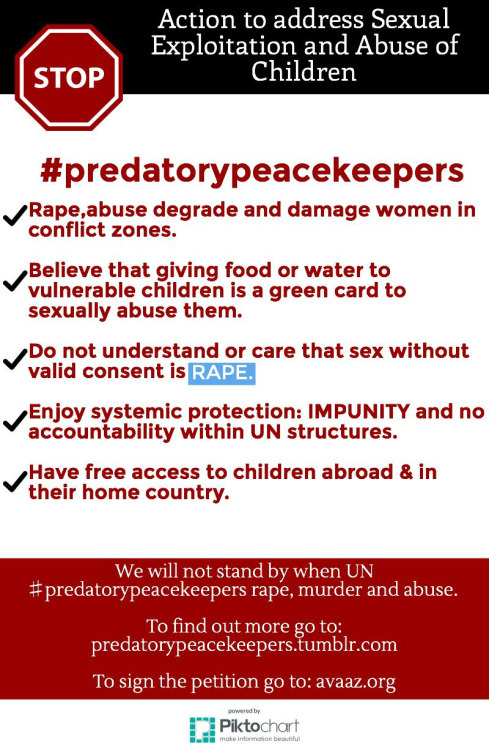 Join in using the hashtag #PredatoryPeacekeepers Make a noise and make sure the United Nations know we will not stand for any more abuses, any more impunity.